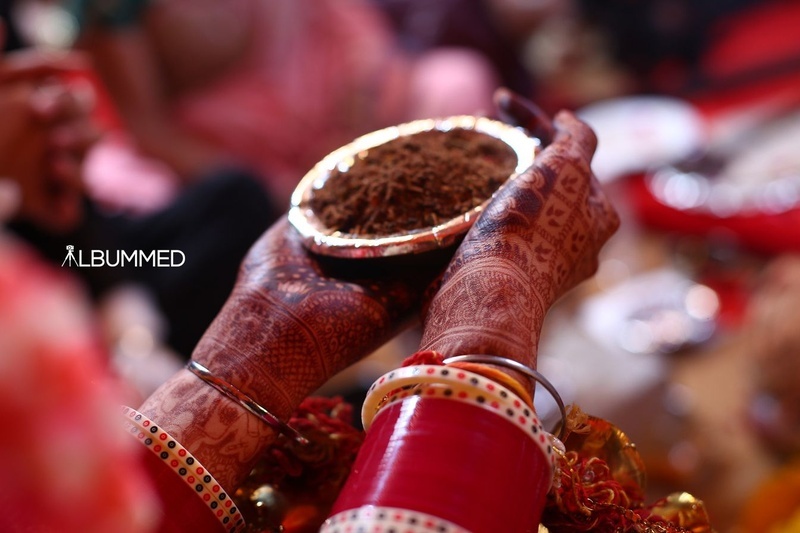 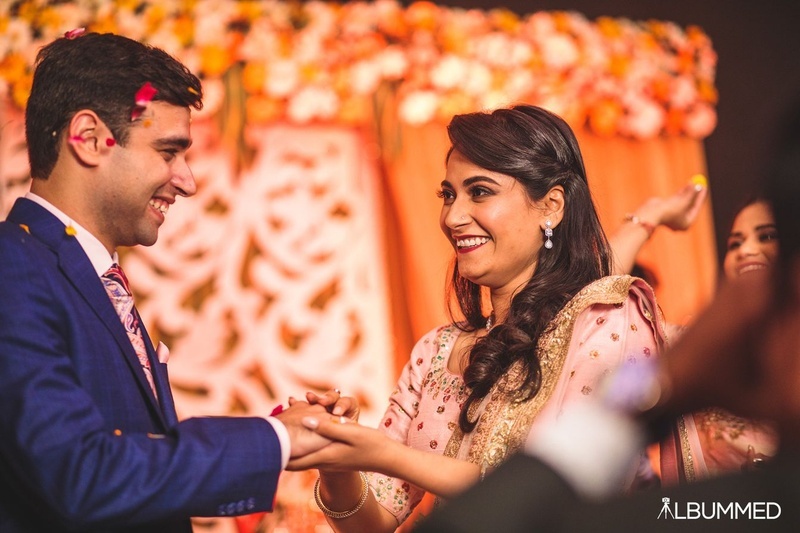 It all started when a Punjabi boy from Delhi met a Paris return Punjabi girl over their common love, biryani - a masala love story was all set to begin. 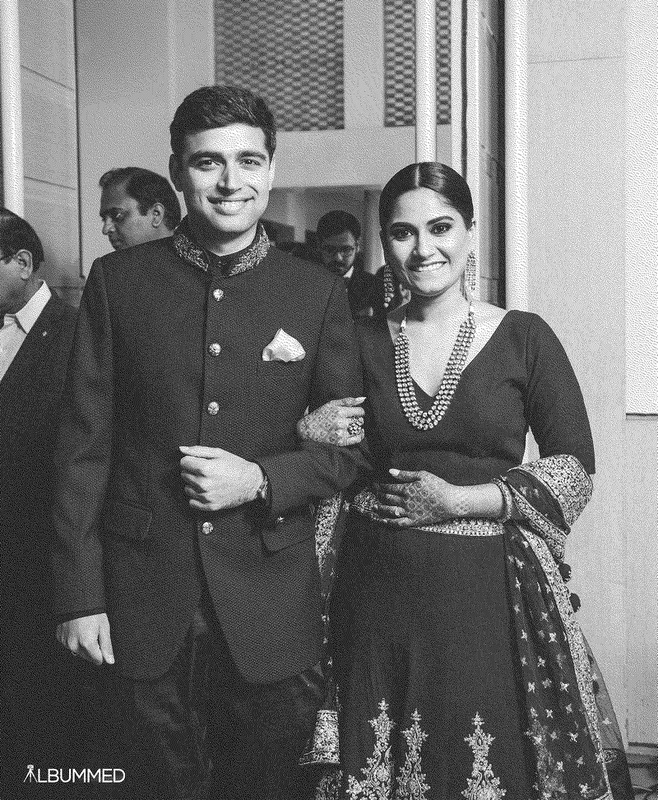 Their love blossomed over study sessions in the IIM - Lucknow Library and hence the name ‘Masala Library’. 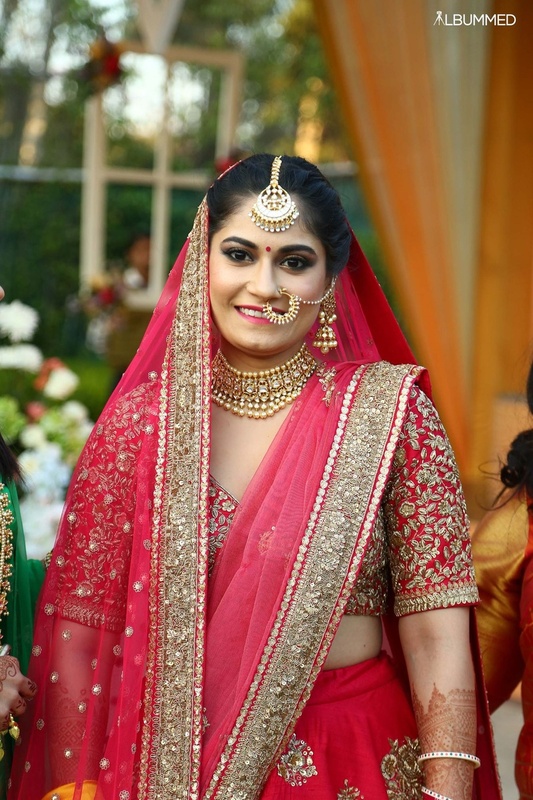 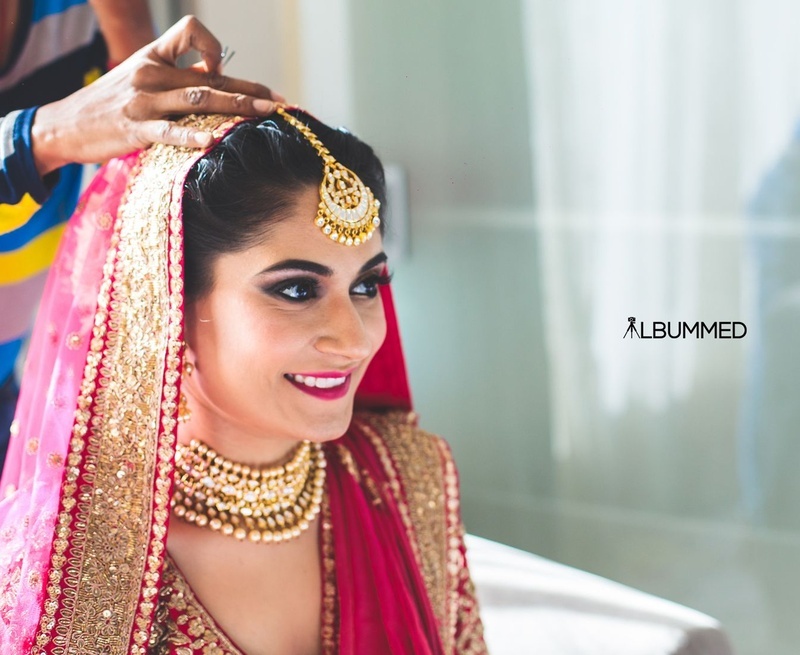 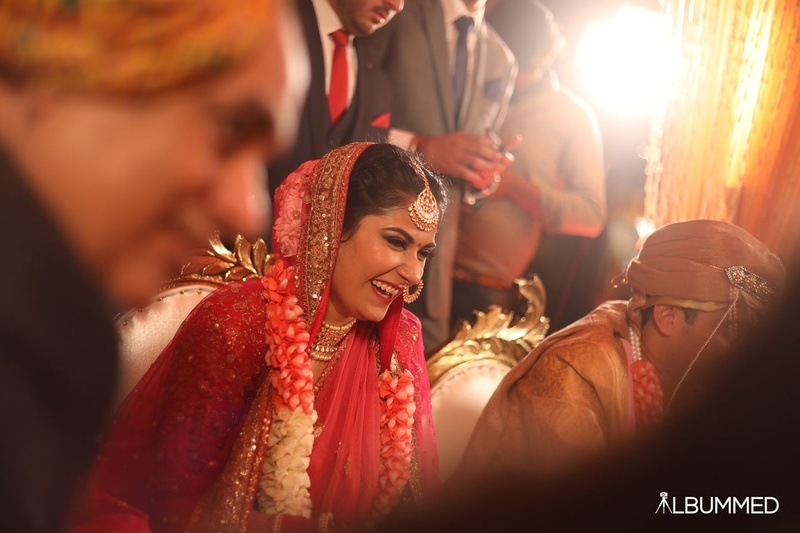 The bindaas bride looked beautiful in a bright red lehenga with golden sequin work while the kundan jewellery added to the glamour factor. 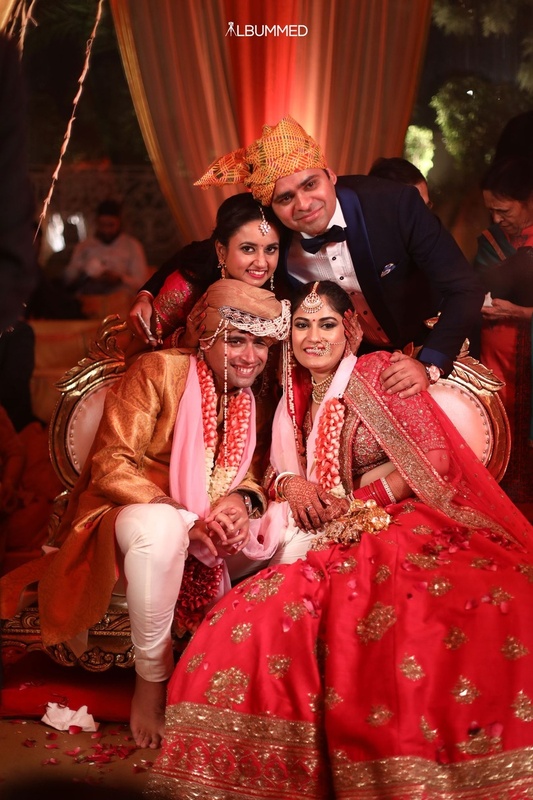 The groom’s red sherwani and beige Nehru jacket perfectly complemented his soulmate’s wedding attire, showcasing a match made in heaven. 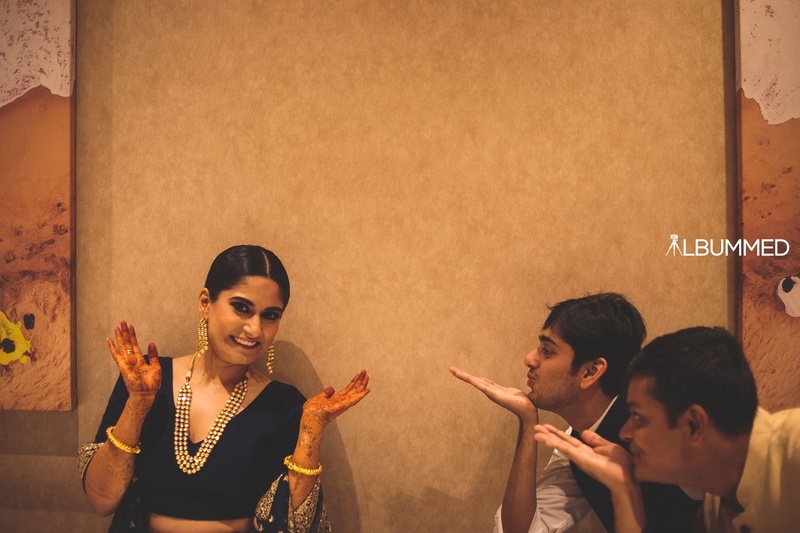 Presenting Akshay and Monik in all their craziness and never seen before avatar. 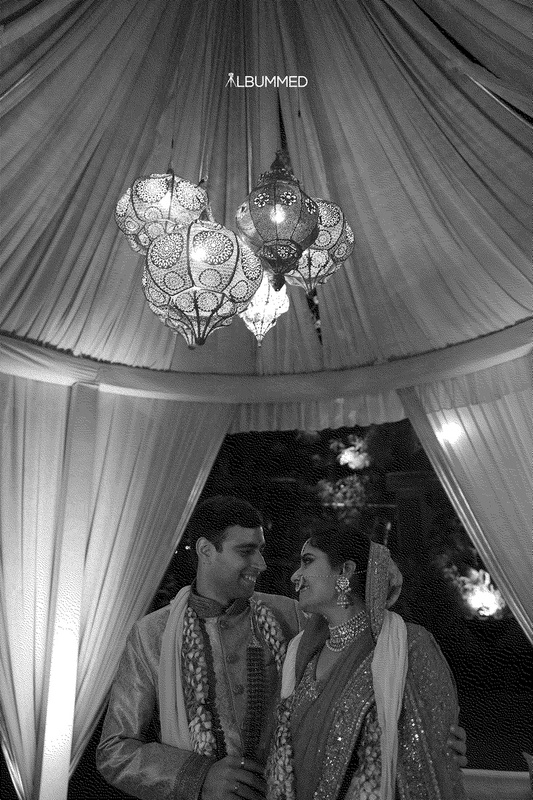 Akshay and Monik: The Masala Library from Albummed on Vimeo. 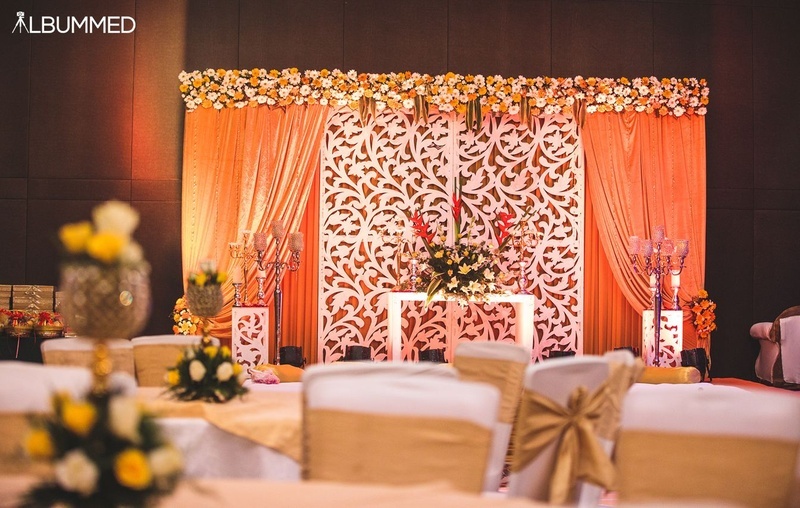 Stage decor for the engagement ceremony. 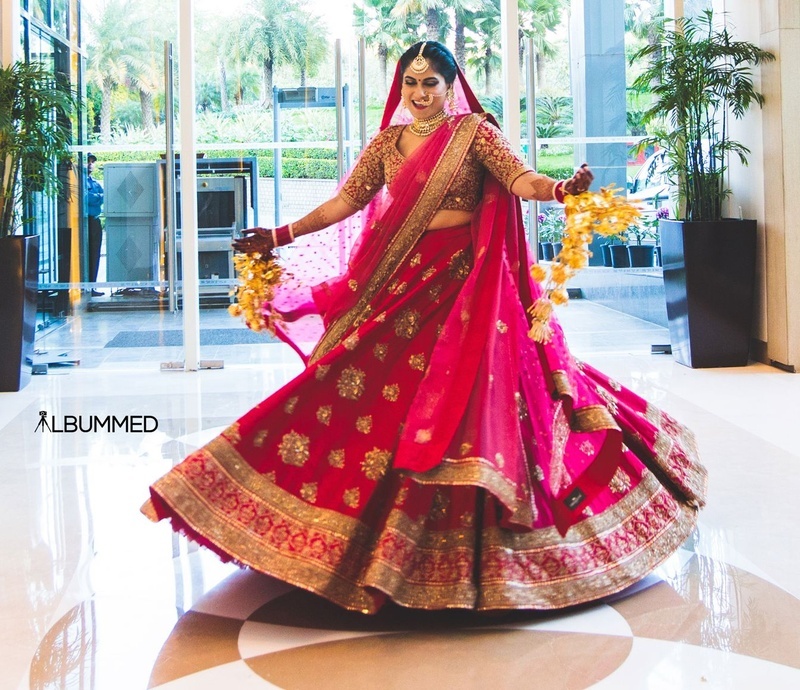 Dressed up in a peach and gold lehenga for engagement ceremony. 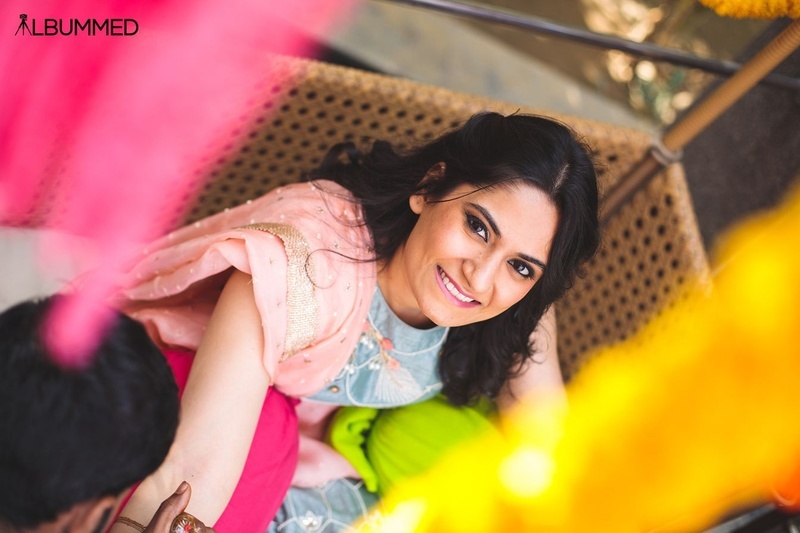 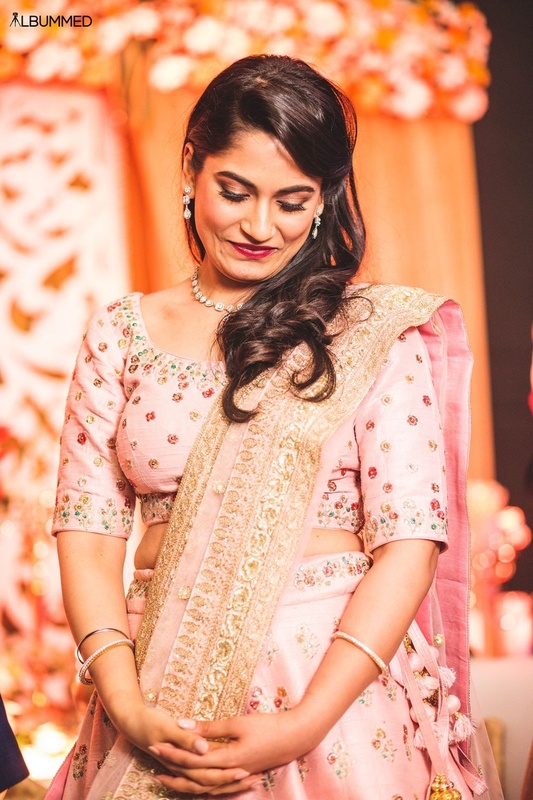 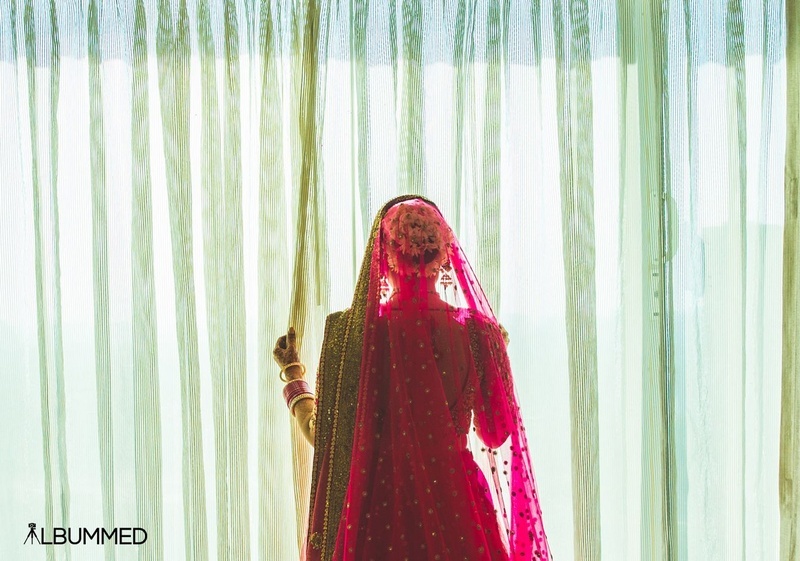 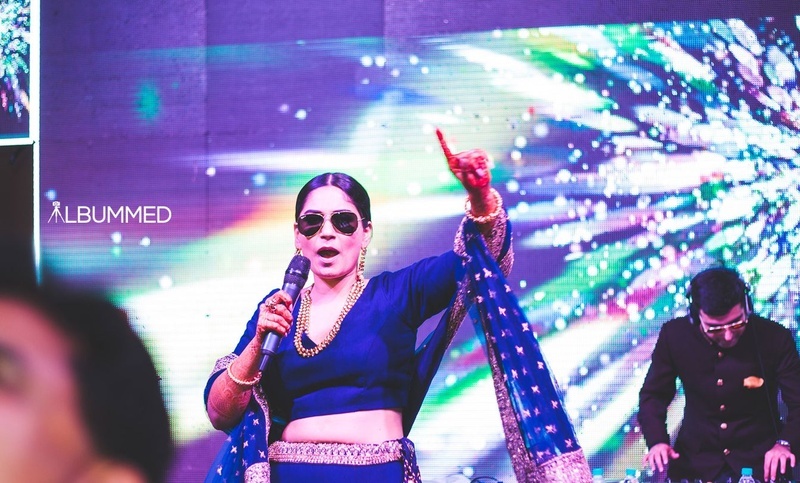 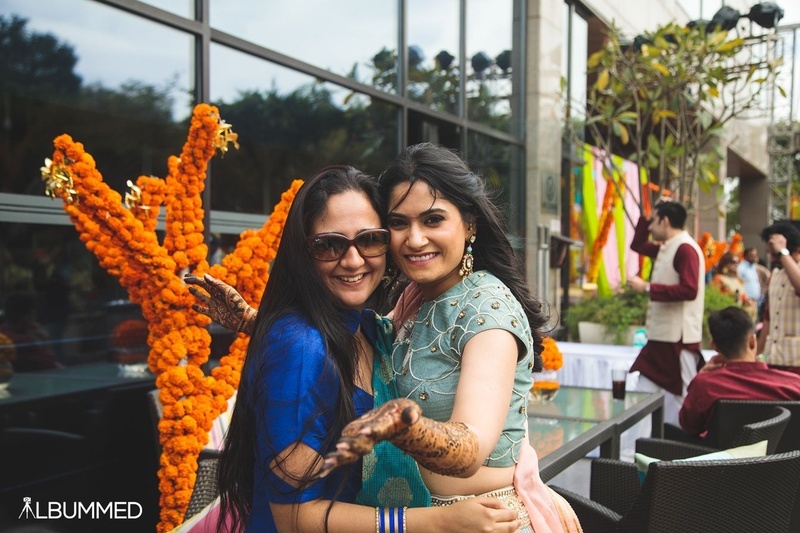 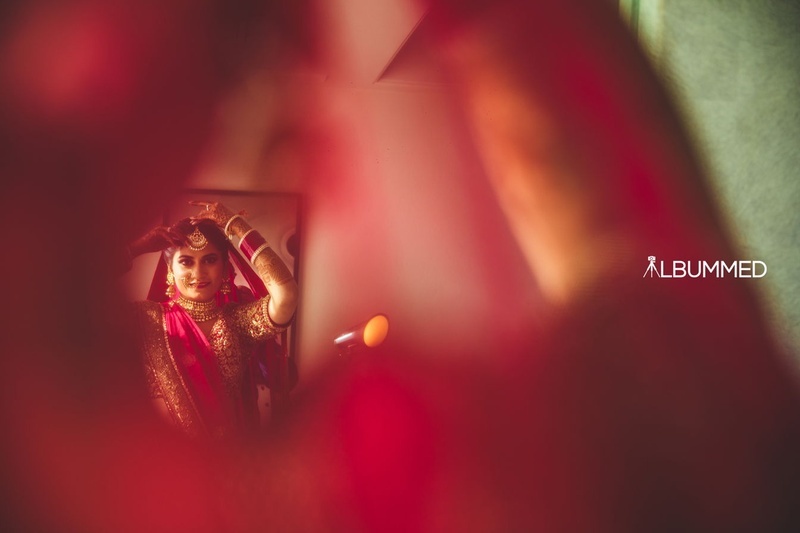 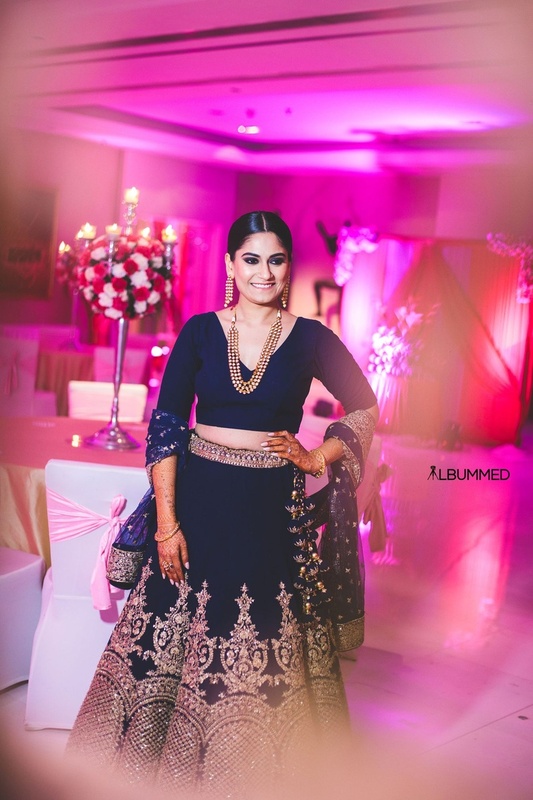 Monik dressed up in a pastel blue and peach lehenga for her mehendi ceremony held at Le Meridien, Gurgaon. 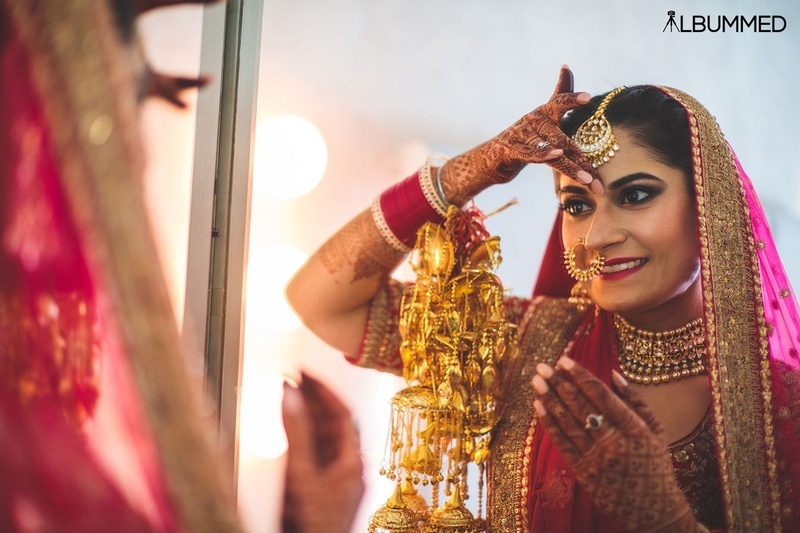 Dressed up in a royal blue lehenga with heavy gold zardozi work styled with minimal jewellery and makeup for sangeet ceremony. 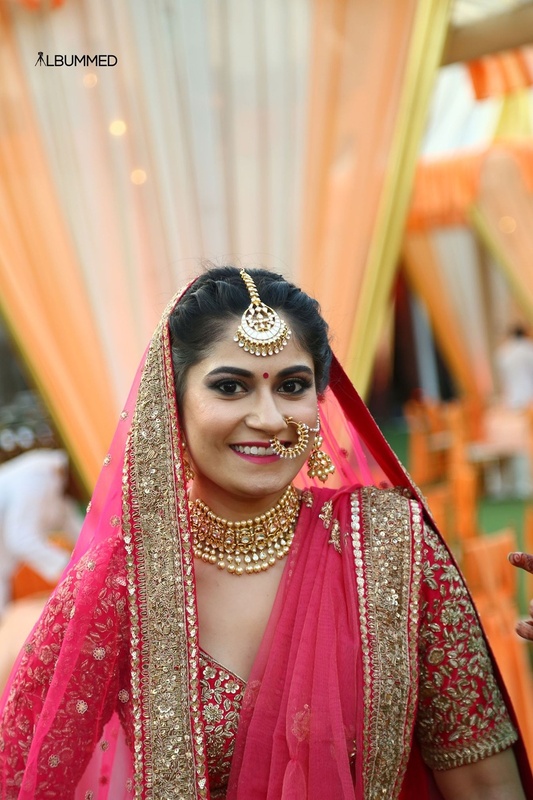 We are loving Monik's minimal and classy look for the Sangeet day. 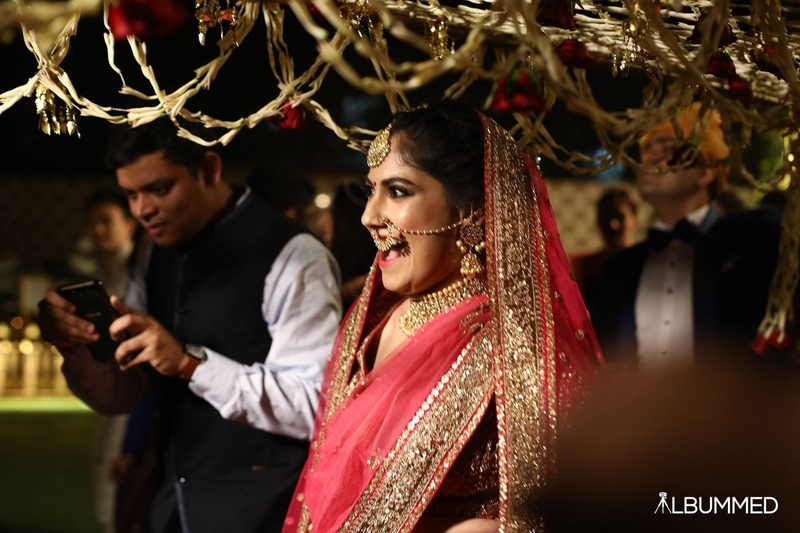 Akshay and Monik's look for their sangeet ceremony. 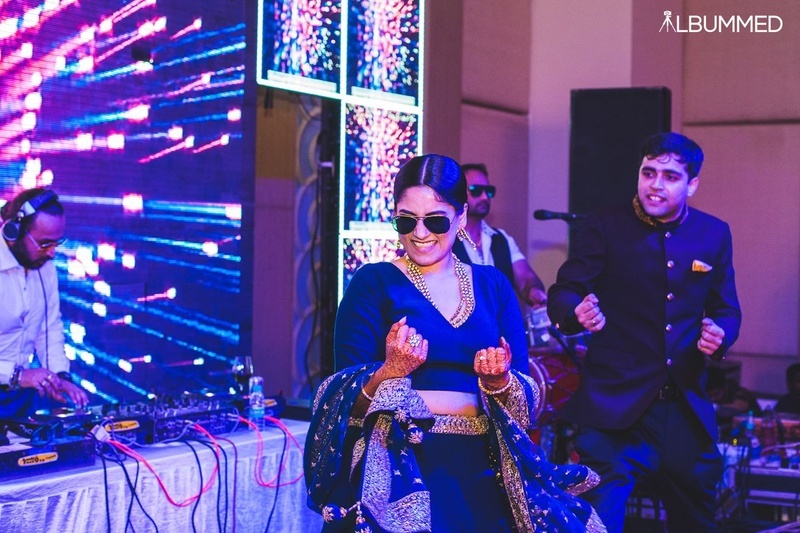 Akshay and Monik at a performance on their sangeet night. 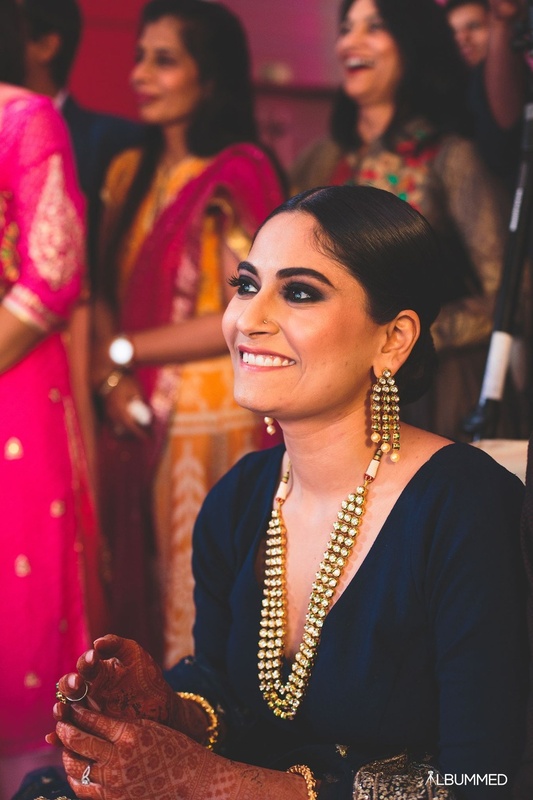 Crushing over her dark eyemakeup and bold polki necklace for the sangeet ceremony held at Le Meridien, Gurgaon. 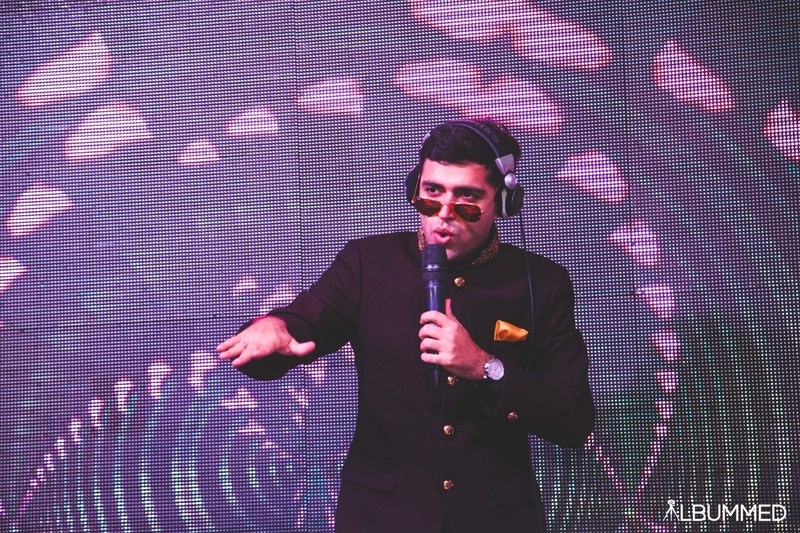 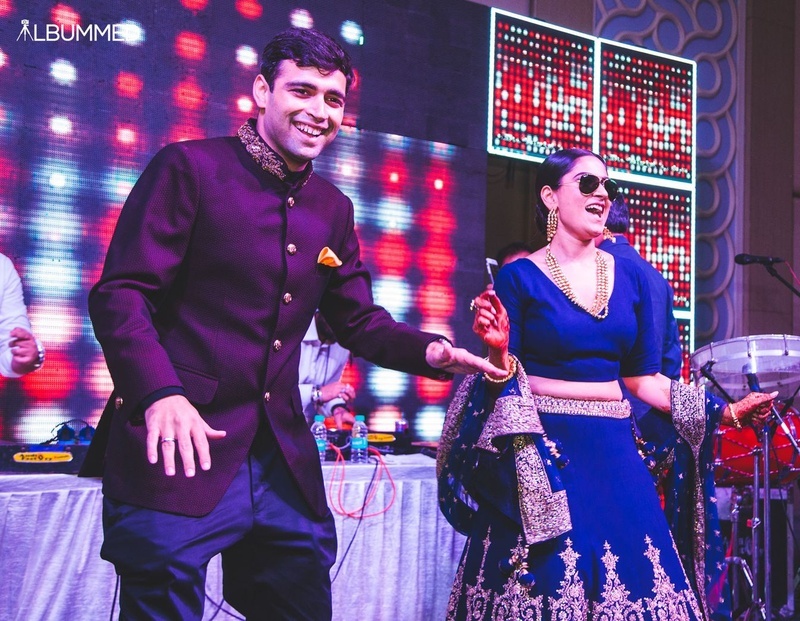 Dapper groom on his sangeet night! 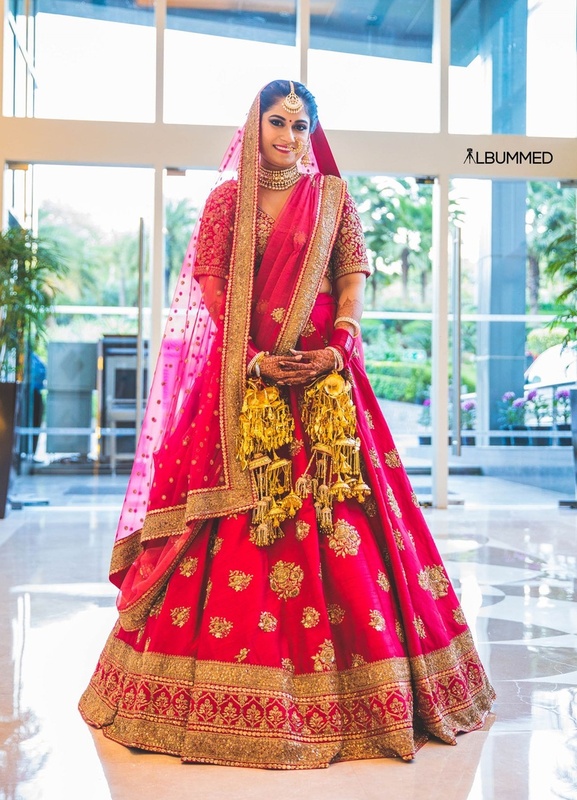 Hot pink wedding lehenga by sabyasachi. 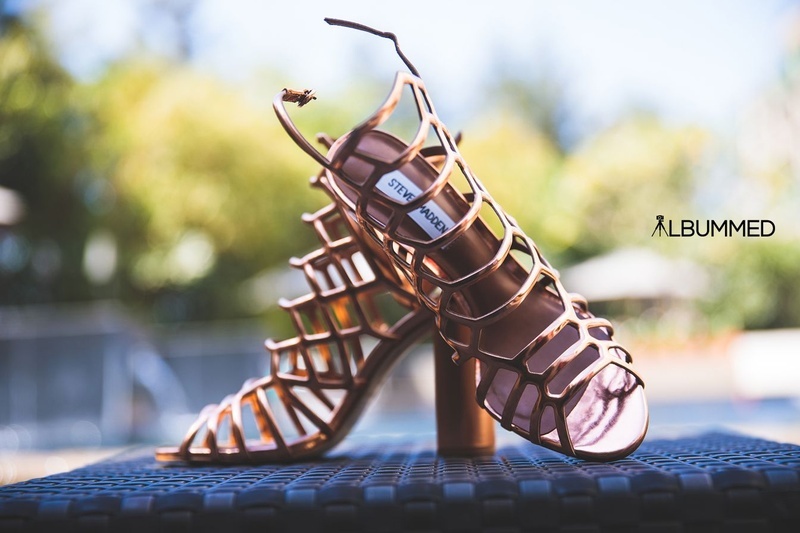 Copper metallic Steven Madden bridal shoes for the wedding day. 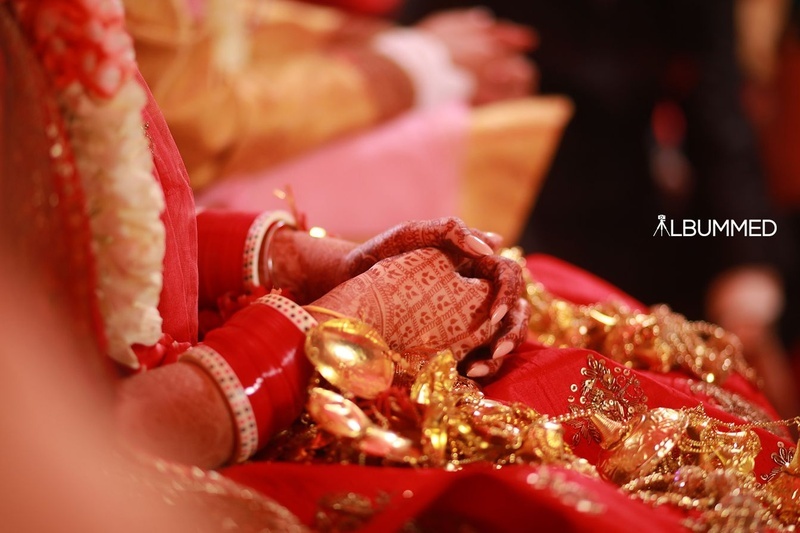 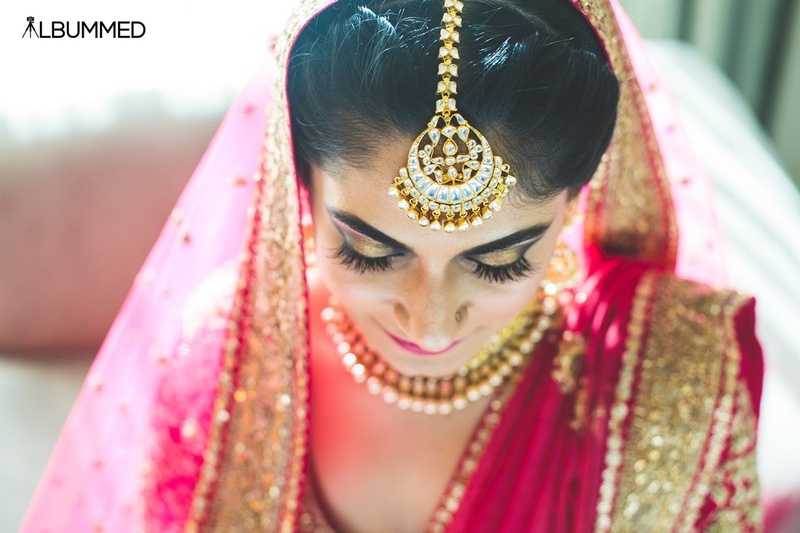 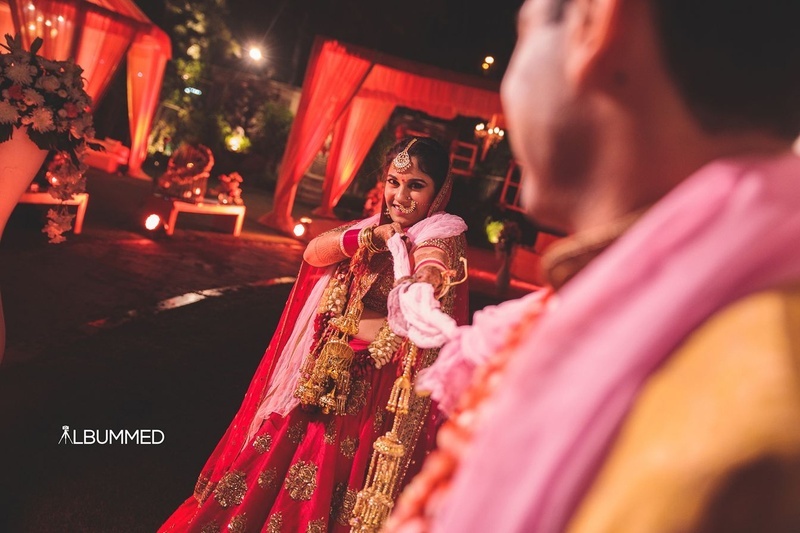 Adorned in minimal kundan and pearl jewellery with wedding lehenga. 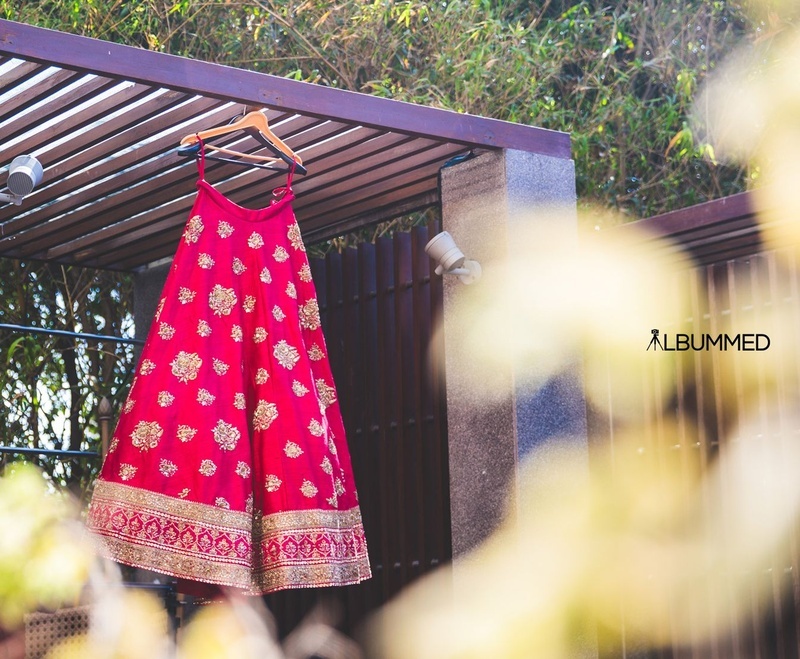 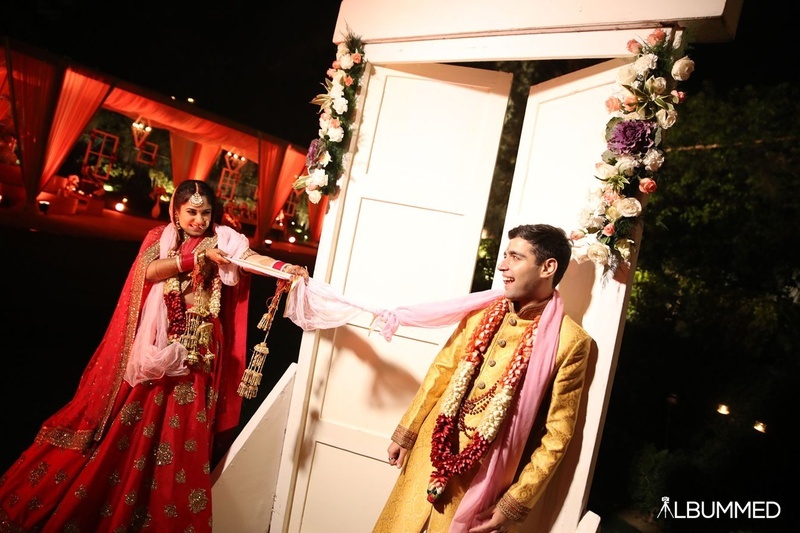 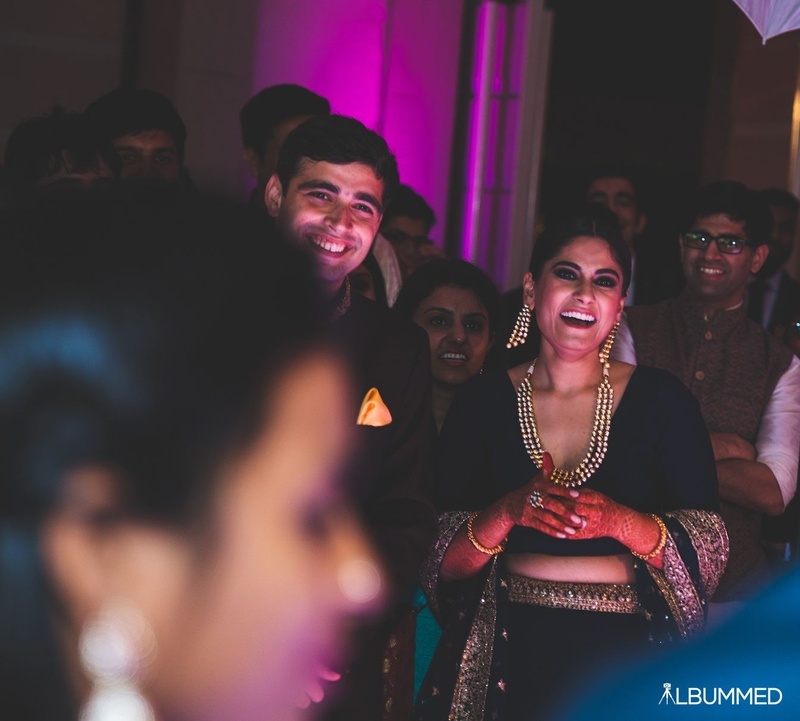 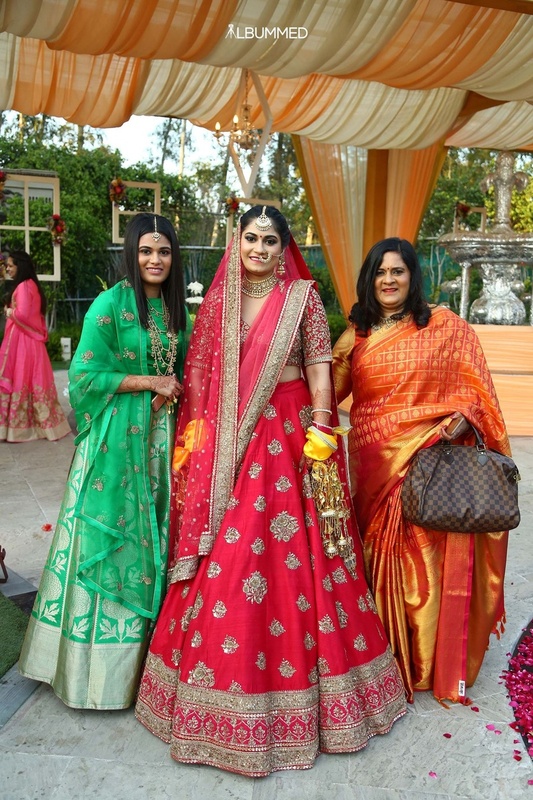 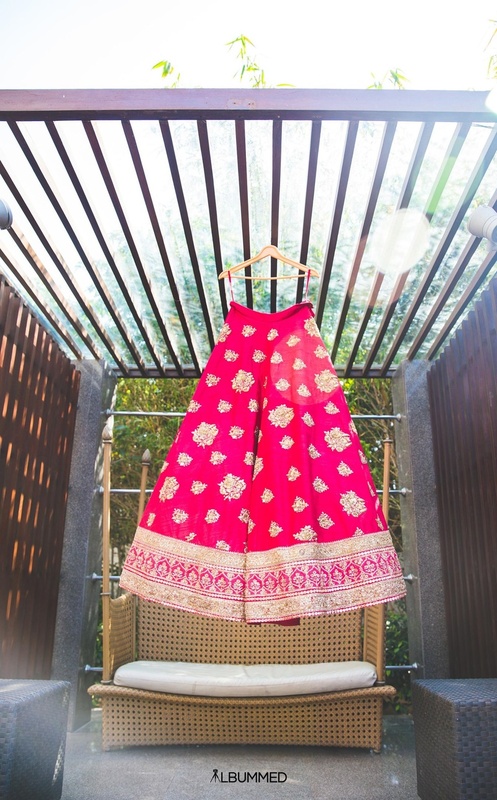 Dressed up in a pretty pink and gold bridal lehenga by Sabyasachi for the wedding held at Amaanta farms. 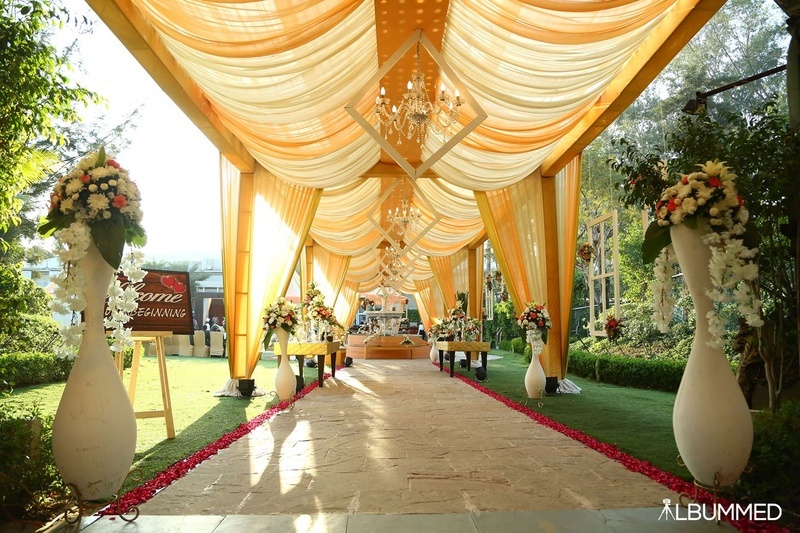 Amaanta farms decorated for the wedding day. 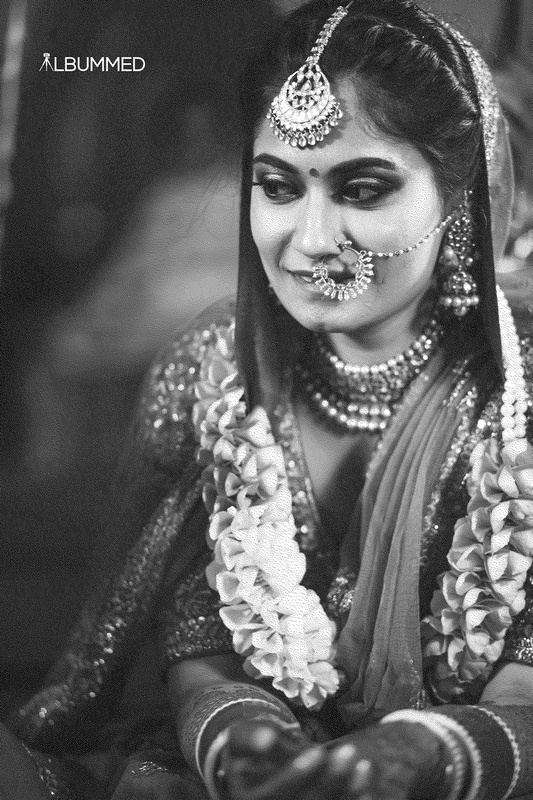 Black and white bridal portrait by Albummed.